For the last four years, Cherry Hill residents have not had a fire district tax increase. On Feb. 20, voters will have a chance to extend the streak for a fifth consecutive year. As has been the case in every budget since 2012, the Cherry Hill Board of Fire Commissioners approved a proposed 2016 budget with a flat tax rate at its Jan. 5 meeting. If voters approve the fire district budget during the Feb. 20 Cherry Hill Fire District No. 13 election, it will be the fifth straight year residents see no change in their fire district tax bill. This year’s total budget is increasing slightly from last year. The proposed budget totals $27.6 million, an increase of a little less than $200,000 from 2015. Fire Chief Thomas Kolbe said this year’s budget includes some capital improvements. The fire department has put a particular focus on emergency medical services the last couple years. In 2015, the fire department added a fifth ambulance to its fleet for Monday through Friday. The fire department also had a large increase in EMS calls last year, with 780 more calls in 2015 compared to 2014. The fire department plans to put the finishing touches on its self-evaluation accreditation process this year, a process it started last year. The process is based on a model from the Commission on Fire Accreditation International. This year, in phase two, the fire department will answer a wide variety of questions touching on all of the services it provides. “Our goal is to keep moving that forward and try to get it finished this year,” Kolbe said. In phase one last year, the fire department got feedback from the community. The department had discussions with Mayor Chuck Cahn’s office, the Cherry Hill Township Citizen Cabinet and the business coalition on its services and what it can improve on. Kolbe encourages residents to vote in the Feb. 20 election, saying feedback from the community is important to keeping the fire department strong. To keep residents informed, a mailed package with budget details is being sent prior to the election. 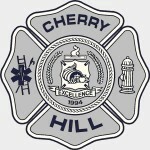 Information on the proposed budget is also available at cherryhillfire.blogspot.com. Voters will also be electing two fire commissioners to three-year terms. There are three candidates running for the two seats. Incumbents Hugh “Skip” Gibson IV and Kellie Montana are each running for re-election. Both have been on the Board of Fire Commissioners for the past three years. Robert Shapiro is the third candidate. Voters can vote in this year’s fire district election on Feb. 20 from 2 to 9 p.m. There are two voting locations, at either the Cherry Hill Fire Department Central Command Building at 1100 Marlkress Road or the Carman Tilelli Community Center, at 820 Mercer St.
For more information on the upcoming election or to find polling places for each voting district, call (856) 795–9805 or visit cherryhillfire.blogspot.com.